I guess comparisons with Andy Weir’s The Martian are inevitable for S.J. 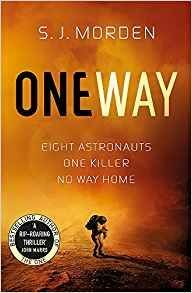 Morden’s near-future Mars thriller, One Way. I can’t really make those comparisons directly though as I’ve only seen the film and not read the book of The Martian. 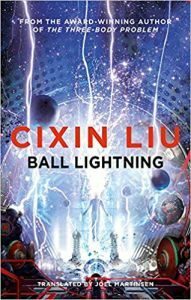 Another of renowned Chinese author Cixin Liu’s novels has been translated for our enjoyment by Joel Martinsen in the form of Ball Lightning, a hard-SF, physics-based tale of obsession, complicated mathematics and the force of nature. 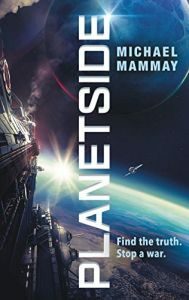 Set around two millennia in the future in a society of planetary colonisation and terraforming, Planetside is Michael Mammay’s debut novel of mystery and conspiracy against the backdrop of a prolonged planetary war.